This was part of the fantastic picnic that we brought to Governor’s Island. This is a great recipe straight out of The Candle Cafe Cookbook ,which is from a great vegan restaurant in NYC. They call it white bean “pate”, but to me “hummus” is a better term. That’s essentially what it is only with another type of beans substituted for the chick peas / garbonzo beans. Make the “hummus”: combine the beans, tahini, garlic, dates, lemon juice, ume plum vinegar, and water in a food processor or blender, and combine until smooth. This will keep for up to one week in the fridge if covered. Assemble your sandwiches: spread the hummus onto the sliced baguette and top with arugula and tomato. 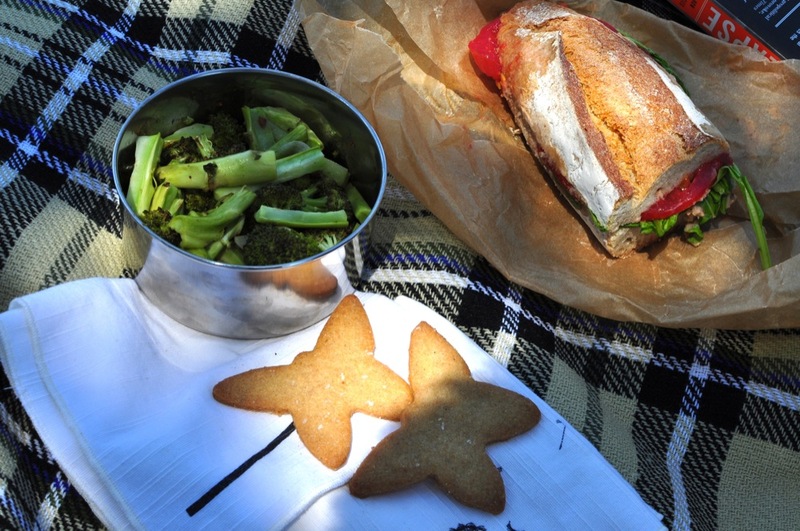 We served the sandwiches with a side of roasted brocolli and Lindsay’s rollout cookies. 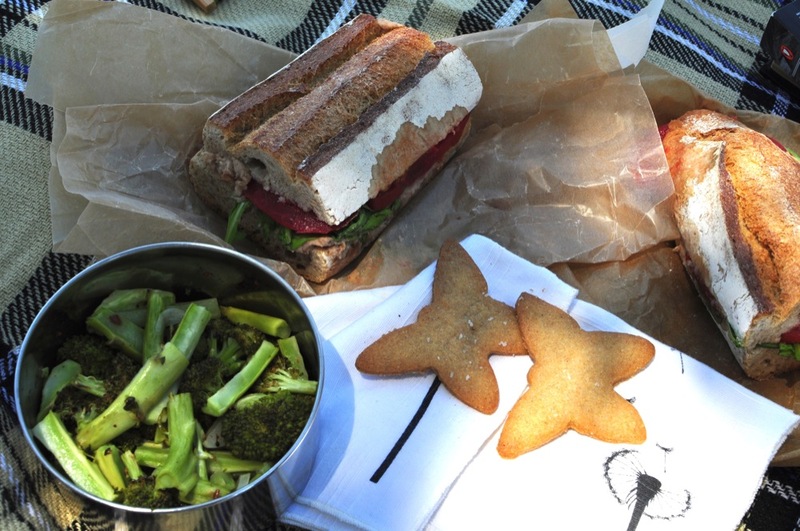 Since we wrapped them up and had them sit for a few hours in our pack, the crunchy bread had nicely absorbed some of the moisture from the hummus and tomato. If you plan to do the same, be sure to buy a crisp, firm loaf.